For current road conditions and construction zones go to SafeTravelUSA.com. Primary KSDZ signal area includes Sheridan*, Dawes, Box Butte, and Cherry counties in Nebraska and Oglala Lakota, Bennett and Jackson counties in South Dakota. Primary KDJL signal area includes Cherry, Keya Paha, Brown, and Rock counties in Nebraska and Todd, and Mellette counties in South Dakota. Simulcasting the signal of The Twister, 24 hours a day. * KSDZ delivers over 88% of the radio listening audience in Sheridan County and we rank highly in the Rapid City ADI. Your favorite Real Country music by day and Classic Hits all night long. Local, Regional and National news. Featuring Fox News at the top of every hour, 24 hours per day. Daily Sale Barn Reports and Ag Market Reports. Area High School Sports Live Play-By-Play Coverage. 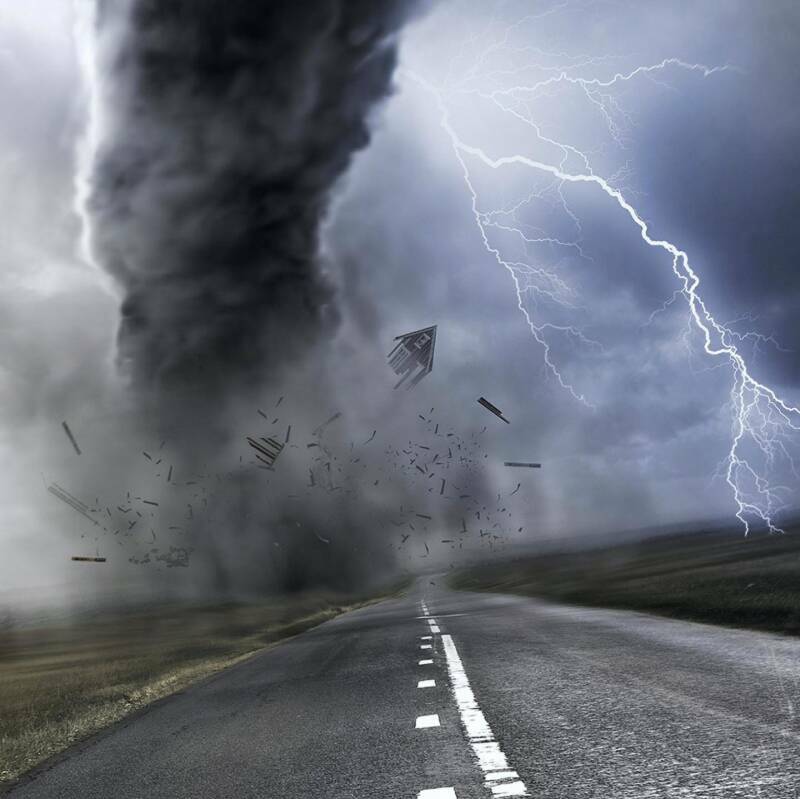 Local and regional weather twice an hour, 24 hours per day, and exclusive Weather Eye Weather Watch and Severe Weather Reporting, with live coverage from the Weather Eye Storm Center Team of Twister Weather Watchers. DJ Broadcasting, Inc. All rights reserved. The Mel and Brianna Bundy Family in Gordon during the Meet and Greet on Flag Day. On April 5, 2014, the Bureau of Land Management commenced an operation to impound rancher Cliven Bundy’s cattle. In the run-up to the operation, no less than five separate threat assessments were conducted to ascertain the threat that the Bundy’s may pose to law enforcement officers during the roundup. Each and every one of the assessments conducted by the FBI, JTTF, BLM, et.al., showed that the Bundy’s propensity for violence to be virtually nonexistent. With these findings, an appropriate course of action pertaining to a law enforcement presence should have been a few Las Vegas Metro PD officers on scene ensuring the safety of all involved. If that had been the case, the impoundment would likely have been completed without incident. Nevertheless, that would not be the case. At least 138 heavily armed agents with level IV body armor, Kevlar helmets and assault rifles. Two FBI Swat Teams, one from Los Angeles, and one from Las Vegas with attached sniper teams and a F.L.I.R. equipped helicopter. A U.S. Park Service Special Event Tactical Team (SETT) with an attached sniper team. 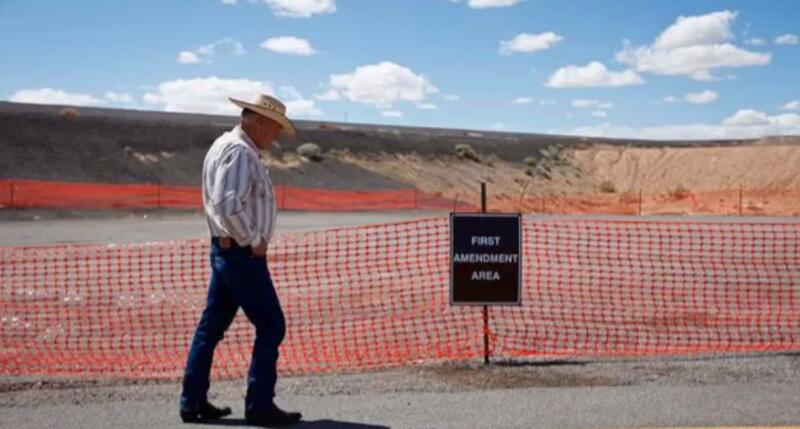 The BLM also set up two “First Amendment Areas” miles away from the impoundment operation for protesters to exercise their 1st Amendment rights. These areas were monitored by cameras and under cover agents who documented the license plates of people in the area. On April 6th, the second day of the gather, agents encountered civilians taking pictures of the gather from the side of the road. For over an hour, BLM agents harass these citizens and attempt to herd them into the “First Amendment Areas.” They threaten them with citations and arrest until they are informed by the United States Attorney’s Office that they have “no arrest authority.” After Just a few short hours later, Dave Bundy is parked on the side of the road filming the gather with his Ipad. A BLM sniper team is deployed on the hill behind him and aim rifles at his back. Agents then approach him, body slam him, grind his face into the gravel and haul him off to jail, all with “no arrest authority.” He is released the next morning with no charges. His Ipad is confiscated and when it is returned, three years later, all video had been erased. As the impoundment continued, BLM agents began to shoot the Bundy’s cattle from helicopters, leaving many valuable bulls dead. They also systematically shot cattle they had corralled at the ICP and bury them in a mass grave. Simultaneously, the BLM and their contractors began to destroy Cliven Bundy’s State of Nevada deeded ‘waters’ that have been in his family for over a hundred years and are protected by Nevada State Law. It’s understandable why they wanted no pictures taken. 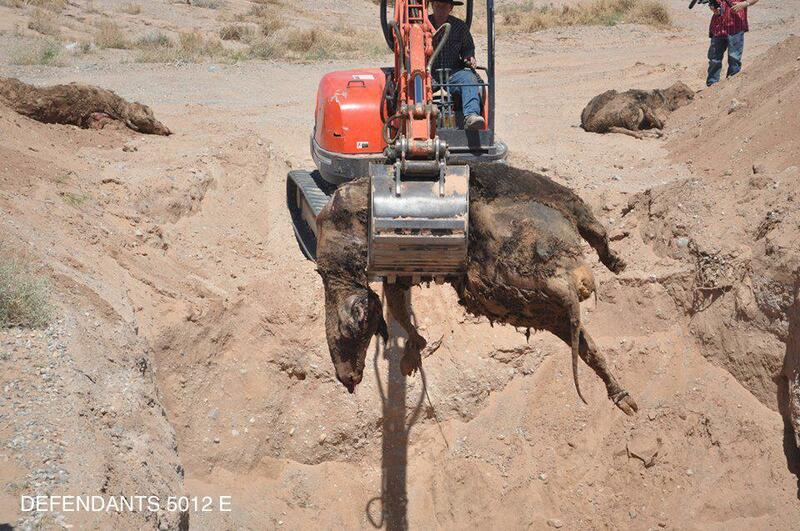 Killing his cattle and destroying his waters are crimes under Nevada law. Almost two years after the impoundment, nineteen of us would be arrested and put on trial in three separate tiers. The first tier went to trial on February 6th, 2017, of which I would be included in. Just six weeks before trial, due to my court appointed attorney being incompetent and unprepared, and not wanting another postponement by replacing him, I chose to represent myself pro se. During trial the Judge, Gloria Navarro, in open bias against the defense would not allow me to say the words “U.S. Constitution”, “1st Amendment Right”, “2nd Amendment Right”, “Right to keep and bear arms”, and in a moment of total frustration I asked her if I could say “freedom of speech” in her courtroom. She looked at me and said, “No, you may not.” When the defense got the case and attempted to call our first witness, the prosecution stated that all of our witnesses were “unindicted co-conspirators” and threatened to arrest and indict them if they testified. As a result, only two took the stand in our defense. Just prior to trial, it was discovered that SAC Dan Love had participated in some nefarious activities of which he was under investigation for and was ultimately relieved of duty. In a blow to the government’s case, they removed him as their star witness. No worries though as we would call him to the stand. When the defense attempted to call him, the government fought it and the judge ruled in their favor. The Special Agent in Charge of the entire operation and that agent whose Grand Jury testimony resulted in our indictments, would never take the stand. With Dan Love in a protected status and me completely discouraged at the ongoing conspiracy between the prosecutors and the judge, I asked a witness a single question about Dan Love and was immediately stripped of my pro se status and the ability to defend myself. My standby counsel took over but was completely clueless, knew nothing of the discovery, and continued to take his daily catnaps and e-bay shopping during the trial. I was ultimately convicted of Count 12, “Obstruction of Justice” and Count 16, “Interstate Travel in Aid of Extortion.” Seven months later, during the third trial in which Cliven, Ryan, Ammon Bundy, and Ryan Payne were defendants, a bombshell memo was sent to the prosecution, the Department of Justice, and Congress. The memo was eighteen pages of outrageous conduct by the BLM, FBI, and USAO and was written by the government’s own lead investigator, Larry Wooten who investigated this incident for almost three years. Wooten stated that on February 17th, 2017, two weeks into my trial, A.U.S. A. Steven Myhre, the lead prosecutor, entered into a conspiracy with Wooten’s direct supervisor, Kent Kleman, to have Wooten removed from the investigation because they didn’t like his findings. All records of his investigation were confiscated from his office and he was told not to discuss the case with anyone. His investigation reports have never been found. This is a classic example of witness tampering and is a crime of “obstruction of justice” as Wooten was on the witness list for my trial. Five separate threat assessments that showed the Bundy’s were not a threat for violence. The BLM’s threat assessment showed that (the BLM) were looking to “face-off” and provoke the Bundy’s into a confrontation. An FBI Operations Order in which the FBI had deployed snipers. An aerial photograph showing the positions of at least two sniper teams perched above Cliven’s home on the nights of the 5th and 6th, prior to the arrival of protestors or militia. It also showed that the snipers had ranged the distance to his house, carried intermediate range rifles, night vision, thermal imaging devices, and infrared spotlights. A six man Quick Reaction Force two miles away on stand-by prepared to assault the Bundy residence on the nights of the 5th and 6th. The presence of live feed cameras above Bundy’s residence feeding real time video back to the ICP and Dan Love. Evidence that Dan Love carried a “kill book” wherein he bragged about being responsible for three suicides in Operation Cerberus Action in Blanding, Utah. FBI Agent Joel Willis, according to the judge, “hid” exculpatory evidence in his agency vehicle. He stated that he “finally found a thumb drive”, after three years, “on the floor of his vehicle”. On January 8th, 2018, the judge dismissed the case “With Prejudice” against Cliven Bundy, Ryan Bundy, Ammon Bundy, and Ryan Payne due to “Flagrant Prosecutorial Misconduct, Due Process Violations, and multiple Brady Violations.” The government filed a motion asking Judge Navarro to reconsider her decision and on July, 3rd, 2018 she denied their motion and stated that the ‘Brady’ material withheld was at least relevant to Count 5, Count 12, and Count 16; two of the charges of which I was convicted. Shortly thereafter, the government dismissed all charges on the defendants that had not gone to trial yet. My luck for being in the first group! The government had stated, in the indictment, that there were NO government snipers at the Bundy Ranch and therefore Cliven’s assertion of snipers was “false, deceitful, and deceptive” and that his call to the militia for protection was an “unnecessary escalation of tensions.” At trial, I contentiously argued that snipers were present but was continually objected to by the government and sustained by the judge. 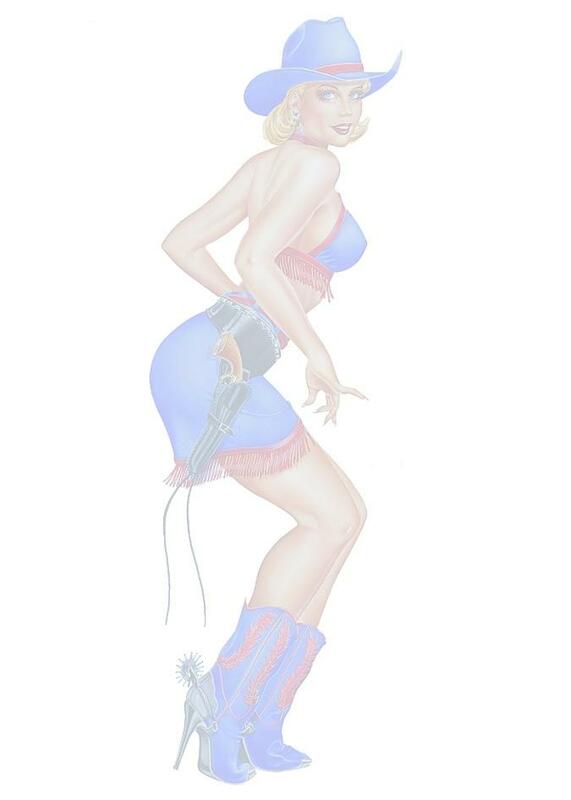 We now know that as I argued at trial, the government had, in it’s possession, reams of evidence showing that from April 5th through April 12th, snipers were present and active at the Bundy Ranch. On July 19th, 2018, I was sentenced to fourteen years in Federal Prison. But I was not sentenced for Interstate Travel in Aid of Extortion or Obstruction of Justice but was sentenced for actual Extortion, Assault on a Federal Officer, Threatening a Federal Officer, and Use and Carry of a Firearm during a Crime of Violence; all of the charges I faced at trial but was not convicted. So why was it so important and why so much effort to remove Cliven Bundy from his land? It certainly was not delinquent grazing fees of $1.3 million, as a government attorney testified in the third trial that Mr. Bundy only owed $8800 in back fees. The answer is quite simple really and could have been found on the BLM’s own website before they removed it. During the impoundment, the website stated that the “Gold Butte Solar Project was not compatible with feral cattle.” There it was for the whole world to see and it had nothing to do with grazing fees. So who were the main players behind this massive land grab? Evidence shows that Senator Harry Reid’s son, Rory Reid, had formed a partnership and signed contracts with a Chinese solar company to install this solar project in Gold Butte. But they still needed Bundy and his cattle off the land. Harry Reid had a plan. He took one of his high level advisors, Neil Kornze, from his staff and had him moved over to the BLM. From 2009 to 2014, Kornze moved up the ranks until in April 2014 he became the Director of the BLM. To anchor this conspiracy and ensure he had the courts in his pocket, Harry Reid recommended to Barack Obama the appointment of none other than Gloria Navarro as Chief Justice for the District of Nevada. I tremble to think what the outcome of this rogue operation may have been had protestors, armed and unarmed, not heeded the call of this besieged rancher and converged on his ranch from across the country. Would Dan Love have killed this family and burned their house down around them as they assaulted them with snipers and armored vehicles? I thank the Lord that we will never know that answer. From inside a Birmingham, Alabama jail, Martin Luther King Jr. said, “Injustice anywhere is a threat to Justice everywhere.” From inside a prison in Pahrump, Nevada, I couldn’t agree more.